Servicing the Huffman, TX area for all your pest control needs, including termites, commercial pest control, mosquitoes, and nuisance pest. We look forward to offering you superior pest control options and know that our friendly professional team will earn your business forever. 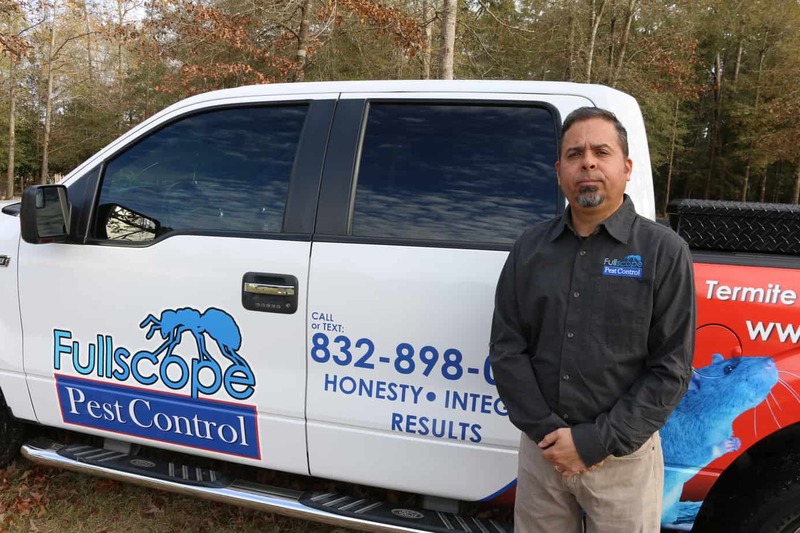 FullScope Pest Control’s Huffman, Texas location services all pest control needs. Whether you want to be rid of a critter in the garage or termites in the attic, the professional team at FullScope can provide the highest-quality Huffman, Texas pest control available. We have been in the pest control business for over twenty-six years, which makes us some of the most knowledgeable experts in the area. 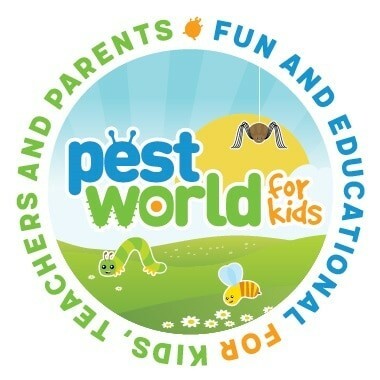 Visit our pest control pages to see our different treatments for different kinds of pests. Each pest is unique and so is each home. That’s why we don’t take the cookie-cutter approach to pest control. Rather, we tailor our pest control services to your individual needs. One of our specialties is mosquito control. Mosquitoes can ruin a summer event and prevent you from fully enjoying your backyard. With a mosquito misting system from FullScope Pest Control, you can take back your yard. A mosquito misting system is an automated way for you to control the levels of mosquitoes in your yard and finally begin living again. We also have some of the best products available for fire ant control. If you’re from Texas, you know how prevalent these little terrors are, and probably have a few bites to prove it. Let us eliminate your fire ant problem from your home or commercial property. FullScope Pest Control offers the best pest control in all areas, from ants to raccoons. If you’re further away from Huffman, Texas and still need pest control services, check out some of our other locations, which all offer the same quality service as our Hoffman location. Give us a call today for a free quote and analysis of the situation at your home or commercial property. Looking for an Automated Mosquito Misting System to keep out the biters? Are looking for a fully automated mosquito misting system that you can have installed and never worry about mosquitoes in your yard again? We have you covered. Call us to talk to us about our MistAway Mosquito Misting System and other mosquito control options. The Mosquito Misting system uses a water-based biodegradable insecticide that is automatically pumped through tubing that creates a mist to control the mosquitoes. There really has never been a more effective method of controlling mosquitoes and preventing bites in your backyard. With a fully automated, press of the button mosquito controlling machine, you will only ask yourself why you wanted to so long to have one installed in you Huffman backyard. Call us today for your free estimate or to find out more about living mosquito free. Call today and ask about our Huffman, Texas Pest Control Specials. Huffman is a community in northeastern Harris County, Texas. It is a part of the Houston–Sugar Land–Baytown metropolitan area and is only about thirty miles away from Downtown Houston. 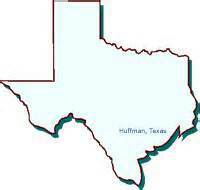 Huffman was founded by David Huffman after his role in the Texas Revolution. While the economy was originally driven by farming, stores, blacksmith shops, and boating soon became thriving businesses. In 1953, Lake Houston was opened as a recreational lake and still serves the area today with boating, water skiing, and jetting, fishing and sailing. A quick trip gets you easily from Huffman to shopping and fine dining. Residents on our great community get to enjoy the less congested life of rural America while still have quick and easy access to airports and highways. Huffman, Texas offers the best of both worlds, with country living and close proximity to airports and major highways. Only minutes from shopping and restaurants, Huffman, Texas offers the ideal living for residents who want to still have big city access but enjoy a more relaxed county surrounding. FullScope Pest Control was founded for the purpose of providing quality pest control that is safe, effective, convenient and affordable. We employ our core values daily of honesty, integrity and satisfying results. Let FullScope Pest Control WOW you with our unmatched quality customer service today.